Walter Farley’s Black Stallion series of children’s books was one of my favorites growing up. 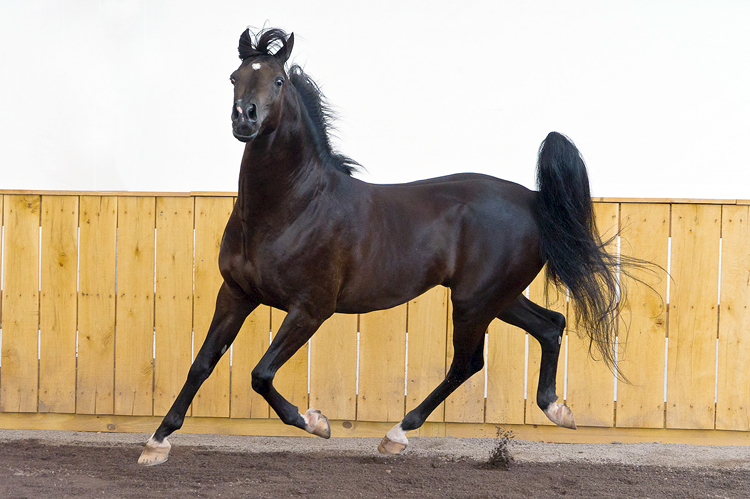 Perhaps that’s why I still find black (or nearly black) Arabians so darn cool. Shooting “Spike” last week was a blast, as he displayed all the verve, energy and action one would hope for from a stallion of his breed. During the editing phase today I really found some fun images, and this was one I particularly liked. Spike’s elevated gaits propel him into the air, while his nostrils flare and he flags his tail. No, it’s not perfect as his left ear is cocked, but I think it adds to his character. Spike is in his element at liberty, and it really shows.